Back in 2015, Guerrilla Games and Sony shocked the gaming landscape with the announcement of their new title. It wasn’t a new Killzone game, but a brand new IP. It had astonishingly gorgeous graphics, a female protagonist and a shocking revelation at the end. With camera panning over some ruins, we quickly discovered this new game would take place long after our civilization died out. 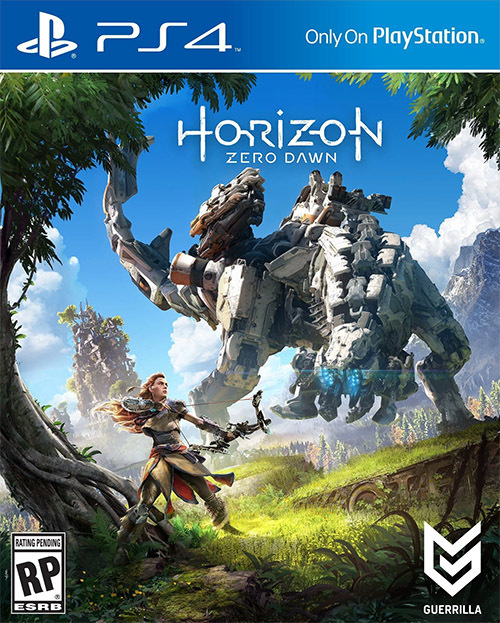 This game is Horizon Zero Dawn, and after leaks and delays, the PlayStation 4 exclusive is finally ready for launch. 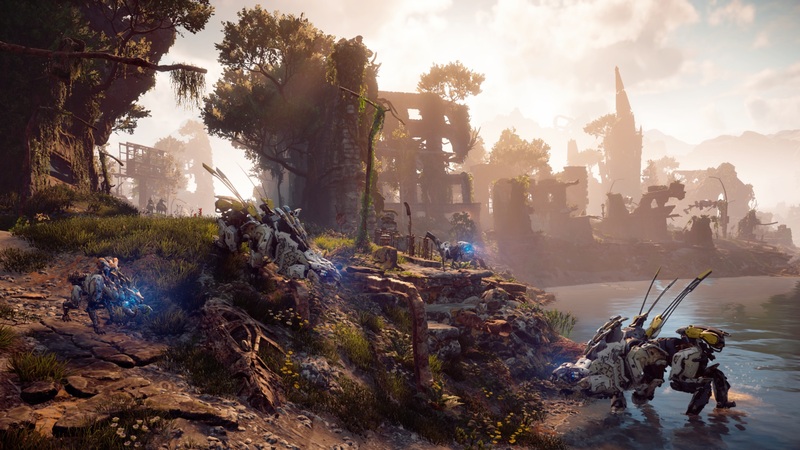 Is Horizon Zero Dawn more than just a pretty face or should Guerrilla go back to being the Killzone studio? Horizon Zero Dawn takes place far into the future where our present day civilization has become nothing more than myth and ruins. Nature has reclaimed the ruins of out society and the wilds are now patrolled by hulking machines. You play as Aloy, a young woman living as an outcast among the Nora tribe. One day, during a trial to prove herself worthy of the Nora, she and others are ambushed by a mysterious group that end up taking away something she holds dear. Determined to discover why she was cast out at birth, and to seek revenge against the barbarians, Aloy sets off into the wild. Guerrilla isn’t known for telling especially good stories, but they have nailed it here. Horizon’s story is deep, personal and profoundly intriguing. Aloy’s tale of self-discovery and revenge is well written with plenty of revelations that subvert expectations. The main quest is remarkably long and can take up to thirty hours to complete depending on the difficulty. Two things sell the story: the world and Aloy. Horizon’s world-building has successfully created a universe that is both mysterious and thrilling to explore. Aloy, as an outcast all her life, is our eyes into the world. As she learns about the different tribes and their various customs, we learn with her. As she learns to take on the different machines, we learn how to as well. It’s the past, however, that takes the cake. Aloy’s journey will take her deep into the ruins of our civilization, which contain the best bits of plot detail. It’s hard to put down the controller when Guerrilla has crafted something so intriguing. Aloy is a fantastic protagonist. She isn’t a hero raised on a pedestal, but rather a lowly outcast striving for acceptance and understanding. Written and performed superbly, Aloy’s character arc is one that is capable of making players feel her pain, frustration and victories. She steals the show, but there are a handful of other characters that are just as colorful and well-rounded as she is. Horizon Zero Dawn’s plot is a wonderful mishmash of Man vs. Nature and Man vs. Self with a dash of Man vs. Society sprinkled in. This formula works and is only thrown off with the introduction of Man vs. Man elements. For some reason, Horizon throws in a main human antagonist. This poorly-written, stereotypical brute is barely even in the game but manages to bring the plot to a grinding halt whenever he shows up. Horizon Zero Dawn’s plot elements are strong enough that this villain didn’t need to be here in the first place. Horizon’s world is vast and open. Players will be able to visit a large variety of different scenery during their journey including dense forests, sun-baked deserts, tropical paradises, snowy mountains, tundra and ruined cities. It’s vast, but Guerrilla managed to populate the large majority of the map with stuff to do. There are plenty of sidequests with varied enough objectives to where it doesn’t feel like everything is a fetch quest. While it’s a bit absurd that everyone in the world seems to rely on Aloy to solve their problems, it does provide the player with plenty to do. Tallneck encounters may require a little bit of platforming, and, in some cases, defeating enemies, but are well worth the effort. Overriding a Tallneck will reveal the surrounding area of a map. This may sound like a mundane tower-climbing segment, but Guerrilla makes the idea feel fresh by making the tower a living creature. The end result is something that feels more like a sidequest than it does a task. Hunting Grounds are arena challenges that task players with using their skills to complete hunts. Those who successfully complete them will gain access to the Hunter’s Lodge. Cauldrons are found throughout the world and successfully navigating to their cores will unlock more machines that Aloy can override. Finally, there’s a lot to collect. Players will be able to dive further into the mythology of the world by finding Datapoints and Glyphs. These handy collectibles contain valuable information about the past and present, and are enjoyable to read and listen to. 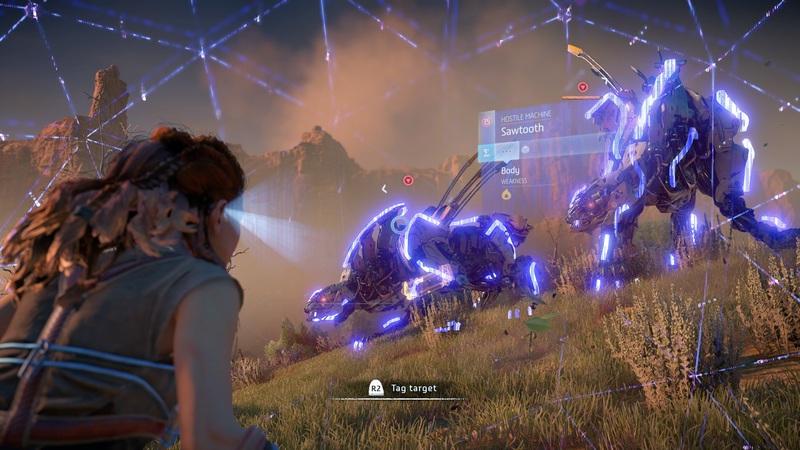 There’s a lot to do in Horizon and the game justifies having such a vast open world. Central to the gameplay is the Focus, a wearable computer and augmented reality headset. This tool of the ancient world gives you the ability to identify and tag enemies, highlight weaknesses and display enemy patrol paths. It’s a handy tool that would feel overpowered if it didn’t come with a major drawback. While using the Focus, Aloy moves extremely slow and can’t perform any attacks. Use it for planning, not for attacking. Horizon is an amalgamation of the action-adventure and RPG genres. Like an RPG, Aloy can craft all kinds of ammo and traps from resources found in the world, modify equipment and level up to unlock skills. 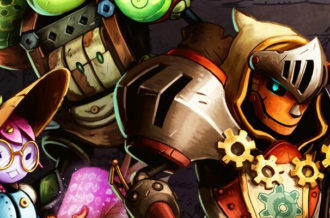 Players will also have to make important decision when choosing weapons and armor. Everything, whether it be weapons or armor, have unique attributes attached to them. For example, one bow might deal ice damage, but another may deal more blunt damage. It’s all about managing trade-offs and outfitting Aloy with the most viable equipment for a certain situation. Players can add modifications to their weapons to add new attributes, but won’t be able to swap them out until much later in the game. There’s also has a dialogue system comparable to Mass Effect and Dragon Age. Aloy will interact with a lot of characters throughout the game, and players have the option to dig deeper to learn more about a character, the world, and maybe even unlock an extra sidequest. There are a few dialog options where players are presented with aggressive, passionate, or intelligent answer choices that can have permanent consequences in-game. Thankfully, none of them drastically change the trajectory of the story. The different weaponry closely corresponds to weaponry typical of the genre. The standard bow is the stand-in for typical assault weapons, sharpshot bows work like sniper rifles and the rattlers are much like shotguns. Of course, Horizon also has its fair share of unique firearms. Ropecasters allow Aloy to tether machines to the ground and halt them in their tracks. The tripcaster lays out a tripwire that, when sprung, can cause some real damage. Leader enemies and a few select machines can also drop heavy weapons, which can really turn the tide of battle in tight situations. When it comes to arming the player, the game doesn’t skimp. Combat works as well as it does because it treats stealth and aggression as two viable options. Aggressive players will enjoy the open areas with plenty of cover to hide behind. Meanwhile, stealth players will enjoy the ample amounts of tall grass to hide in and the verticality that allows them to rain silent arrows from above. There are a few collision detection issues when playing stealthily, but they don’t take make it any less viable an option. Aloy will go down fast if players aren’t careful, but those who prepare and bring plenty of healing items, have the right gear equipped and dodge quickly should be fine. 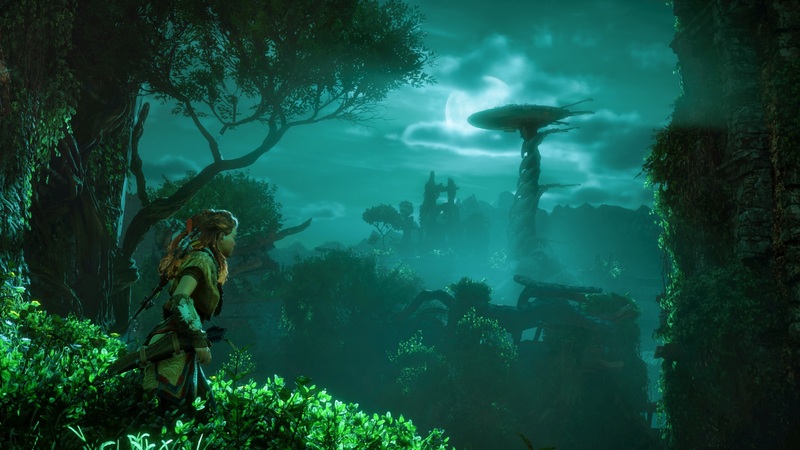 There’s only really one problem with Horizon’s gameplay: the platforming. Much like Uncharted, Horizon makes it clear where Aloy can jump and climb and where she can’t. Unlike Uncharted, however, platforming is mostly automated, but not accurate. It’s typical to want to send Aloy in a certain direction, but then see her move in the opposite direction. Death from platforming isn’t all that rare in Horizon. 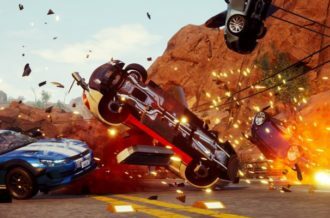 Guerrilla is known for delivering outstanding graphics that show off what PlayStation hardware can do and they don’t disappoint here. Horizon Zero Dawn is a stunningly beautiful game. The world is immensely detailed with lush vegetation, roaring streams, rainfall, snowstorms and a blazing sun. Character models and textures received extra attention and look realistic. 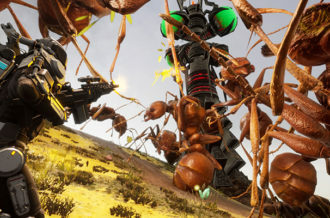 The machines are especially impressive with their many destructible parts and animal-like animations. Best of all, the performance remains consistent throughout with only slight dips in effects-heavy situations. There’s some visual issues — sometimes a model is left floating in the air, and lip-syncing can be spotty in areas — but these are just little nitpicks. None of these small problems take away from the fact that Horizon Zero Dawn is gorgeous, and one of the best-looking games released this generation so far. Things look even better on PS4 Pro. 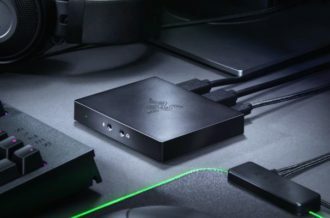 The platform has been waiting for months for a game that truly shows off what the improved hardware is capable of and this is it. Though not native 4K, the checkerboard technique employed is impressive. This is the game you want a PS4 Pro and 4KTV for. 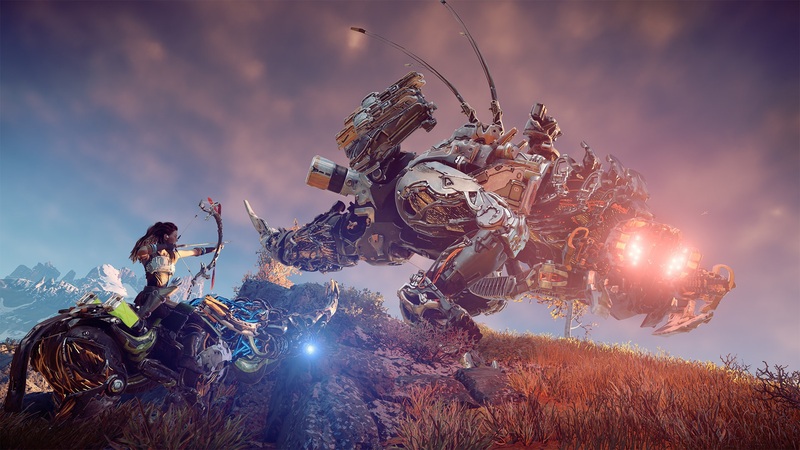 Guerrilla Games took a risk developing a brand new IP that is such a drastic departure from previous titles, and it worked. The studio has crafted a world filled with intrigue and mystery that begs to be explored. It’s a story with twists and turns that subvert expectation and, aside from a few plot threads that were intentionally left open, answers the big questions players have. Alongside such a well put together plot is the gameplay, which is fluid and intense no matter what style used. 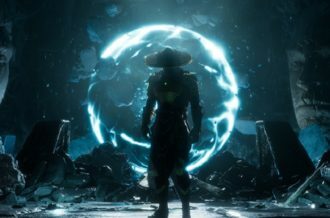 While this isn’t a story that needed a main human antagonist and the platforming can be utterly frustrating at times, these blemishes do little to tarnish the overall experience. This is a culmination of everything Guerrilla has learned from working on the Killzone franchise and they’ve successfully crafted something that delivers on the potential many saw back in 2015. Horizon Zero Dawn is not only one of the best-looking games of this generation, but a must own for every PlayStation 4 owner.